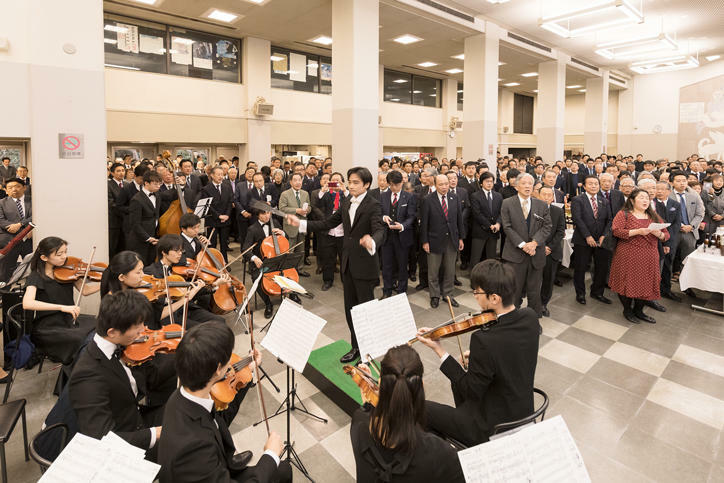 This year, the celebrations for the 184th anniversary of Yukichi Fukuzawa’s birthday were again held at the West School Building Hall on Mita Campus on Thursday, January 10. Proceedings at the event venue, which was filled to capacity, kicked off at 10:30. 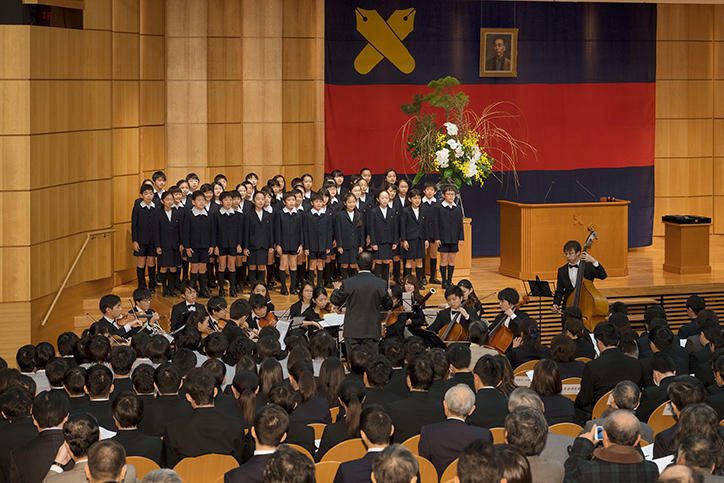 Following on from performances by choirs from Keio Yochisha Elementary School singing "Here Stands Yukichi Fukuzawa" and the Wagner Society singing "Nihon no hokori (Japanese pride)," President Akira Haseyama delivered a new year’s greeting. 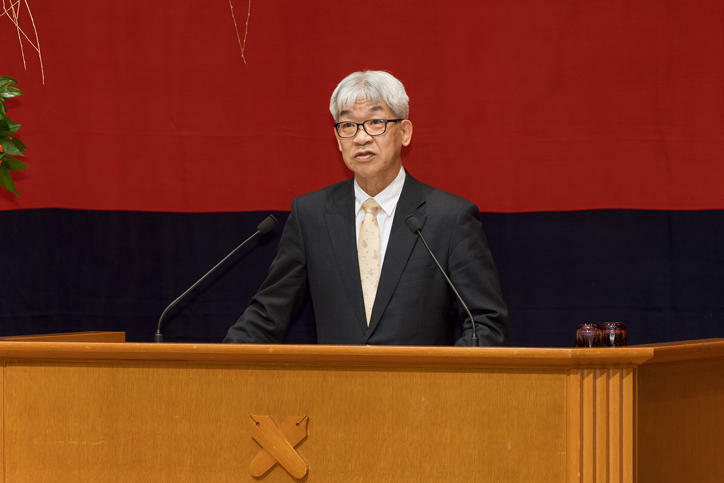 Subsequently, Shigehiko Ioku, Director of the Fukuzawa Memorial Center for Modern Japanese Studies and Professor at the Faculty of Letters delivered the commemorative lecture entitled "Yukichi Fukuzawa as a marginal figure." Using a case study of Fukuzawa, who was also extremely well-informed on the distilling industry, he spoke of the importance of instilling in oneself diverse values and creativity through various cultural interactions. 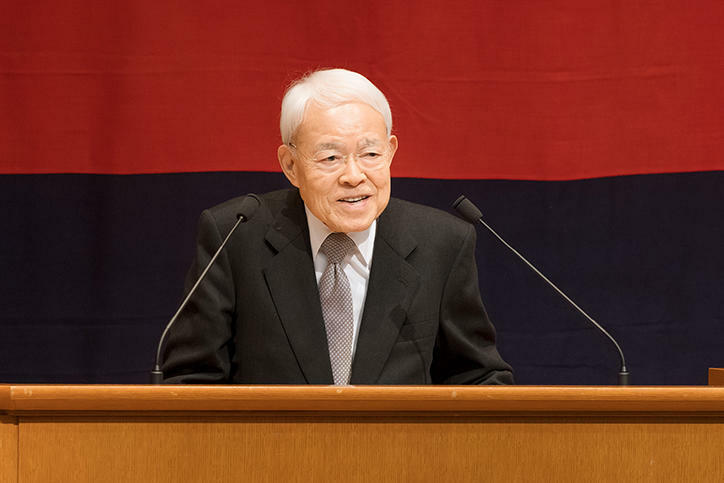 After the lecture, Takeshi Fukuzawa greeted the audience on behalf of the Fukuzawa family. 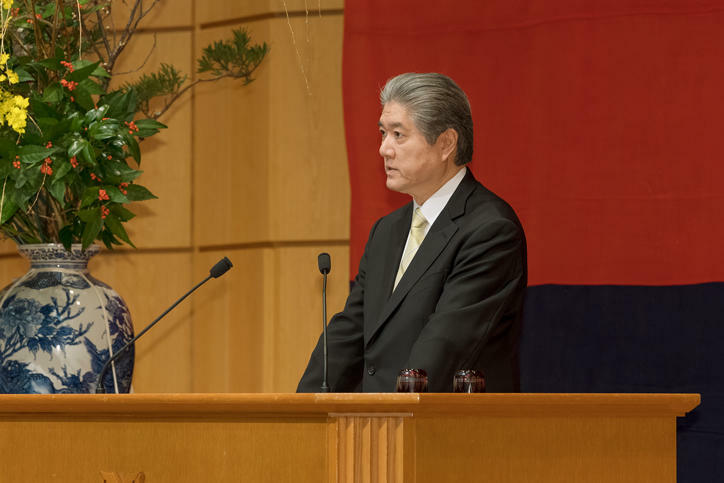 An awards ceremony for the Keio University-sponsored national high school student essay contest established in honor of Shinzo Koizumi, a former president of the university, followed. 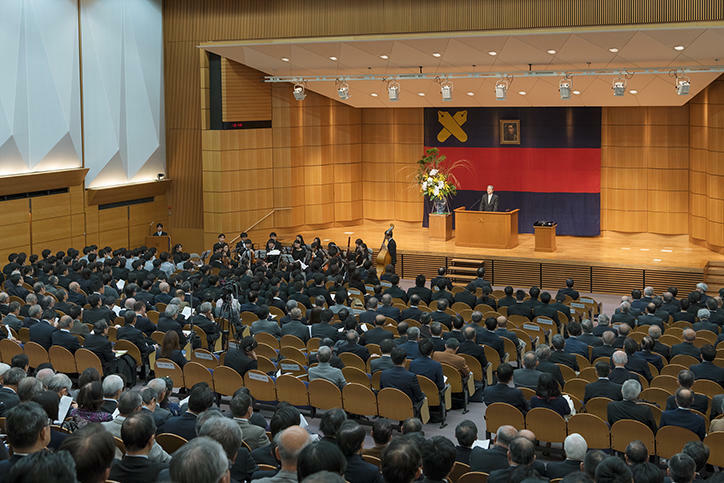 The five winners were presented with certificates and commemorative gifts by President Haseyama. After the celebrations, a New Year’s Name Card Exchange was held at the student cafeteria. New year’s greetings were exchanged in a lively atmosphere.